The market is range-bound in 11,400 to 11,550 levels till Nifty trades above 11,400. Further bull or bear run can be expected on the breaking of either side of the range. On account of weekend profit booking, the Indian indices witnessed heavy selloff on Friday intraday trade. The BSE Sensex lost 222 points before closing at 38,164 levels while the 50-stock Nifty index shed off 64 points and closed at 11,456 levels. Energy major Reliance Industries lost over 2.5 per cent while BPCL and HPCL stocks went off 2.4 per cent and 2.8 per cent respectively. The Nifty Bank index closed at 29,582 levels after losing 249 points. 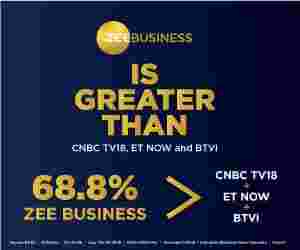 Speaking on the expected trend at the Indian indices Simi Bhaumik, a SEBI registered technical equity analyst told Zee Business, "The market is range-bound in 11,400 to 11,550 levels till Nifty trades above 11,400 levels. Further bull or bear run can be expected on the breaking of either sides of the range. Till then, I would suggest market investors to adhere to the buy on dips strategy." She said that stocks in IT and banking sectors would go upside as they are at their minimum levels and poised to witness some buying pressure next week. Energy stocks bleed maximum by losing near 2 per cent in the intraday trade on Friday. Energy major Asian Oilfield Services slide over 6 per cent, Shares of Aban Offshore Ltd went down around 3.6 per cent, Deep Industries went off near 3.86 per cent, IOCL stocks went off near 1.9 per cent, OIL stock went down more than 2 per cent but Castrol India counter shot up near 2.94 per cent. Auto stocks too had to witness heavy selloff pressure leading to loss of around 1.4 per cent slide in BSE Auto index. Auto major Motherson Sumi Systems went off more than 7 per cent, Exide Industries shares shed near 3.88 per cent, Maruti Suzuki India counter went southward 1.84 per cent, MRF scrip slide 1.39 per cent while Apollo Tyres stock turned red near 2 per cent. In telecom segment Tata Teleservices (Maharashtra) went down 5.6 per cent, Mahanagar Telephone Nigam Ltd or MTNL scrip shed 3.86 per cent, shares of Tata Communications went down more than 2.5 per cent, Bharti Infratel went down near 2.4 per cent, Vodafone Idea counter went down near 2.7 per cent while Vindhya Telelinks scrip was down by around 2.5 per cent. Asian stocks too had a choppy intraday trade as Japanese Nikkei 225 index nudged 0.09 per cent higher, South Korea's Kospi too nudged 0.09 per cent north, Shanghai index edged 0.09 per cent higher while FTSE 100 index slide 0.78 per cent from its previous close. In the US markets at Wall Street, Dow Jones index shot up 0.84 per cent while Nasdaq ended 1.42 per cent higher on Thursday.